Comments Off on Here are 4 Cost-Saving Ways to Design your Home! Are you one of those who can’t compromise on ordinary designing? Well, the art of interior designing is quite rare however still implementing a few tips can help you make your place extremely eye-catchy. It is true that budget is the main thing that affects the purchasing power while buying stuff for interior design in Dorset. However, low-budget doesn’t mean that you cannot add a luxurious touch to your residential place because, in this blog, our experts have provided excellent cost-effective designing tips. Wallpapers are good to go with! Paint is an old school now. Designers prefer creating wonderful appeals with the help of wallpapers. Unlike paint, wallpaper is easy to clean with a wet cloth and gives you the freedom to not only choose your favourite colour but amazing graphics as well. Although paint is a suitable option however the moist in the walls can affect the quality of paint. The wallpaper doesn’t get affected by weather and it gives a quite modern touch to your place by hiding all the loopholes in the walls. Putting new curtains automatically add a unique and soothing touch to a place. New designing with old curtains won’t prove eye-catchy enough. So, when you choose wallpaper, you can go for contrasting or matching shades of curtains too. The flooring is a bit expensive option and may disturb your budget as well. However, if the tiles of the floor are of the old style and require messy maintenance then it will be good if you simply choose to install a new floor. It is not necessary that you install the new floor in the whole house as if only one room require floor maintenance; you can design differently with a new flooring option. The old tables can be redesigned in a different way by simply applying new polish or paint. Well, you should make sure that you select the paint according to the material of the furniture. Some paint options do not prove feasible for wood so if you want an enticing appeal without buying new furniture, simply choose the best paint for furniture. More on, if the sofas are also not in good condition, you can ask the manufacturer for applying a new fabric sheet to the sofas for a new appeal. 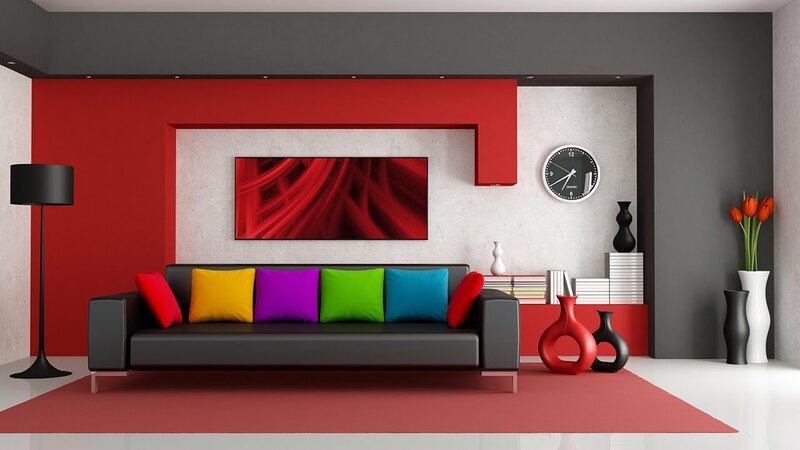 These are cost-saving tips that work for all types of interior designing.